Honestly, I’ve wanted an older sibling for the longest time and I feel like even though I have pets, it’s just not the same. This book did a really good job of giving me insight into how life with a sibling would function and even (temporarily) convinced me that it wasn’t a good idea by showing me the terrifying situations that the sisters often find themselves in. This book goes between “present time” and flashbacks a lot which may seem confusing but the flashbacks are illustrated on yellow paper and they are there at the most appropriate of times. Raina and her sister, Amara, have always wanted pets. However, when they do finally end up getting pets, everything that can possibly go wrong, does. Three fishes die, and when the family realizes fishes are too sensitive, they get a chameleon. However, the crickets in the chameleon’s cage that are kept as food for the chameleon end up eating the chameleon instead! Amara wants a pet snake but Raina plainly refuses because of her past experience of stepping on a dead snake. Soon after, Will, their baby brother, is born. The family no longer feels like they need a pet. Moreover, the three siblings have to share a room, and their parents soon decide that this arrangement won’t work. The family doesn’t move out of the apartment but instead gives Raina a bedroom to herself, the smallest bedroom, and Amara and Will share the master bedroom, while the parents sleep on a pullout couch in the living room. Amara complains that this arrangement is unfair as Raina gets her own room and as a consolation, Amara gets that pet snake she wanted. However, the snake refuses to eat frozen mice, and one day, after nearly biting Amara’s finger off, Amara and her mom decide to return the snake. The snake gets loose in the car, and the family can’t find it. Raina refuses to ride in her mom’s car until the snake is found. One day, their mom is taking them on a road trip to visit their cousins. Raina puts up a huge fight not wanting to ride in her mom’s car as the snake hasn’t been found yet. She eventually agrees to go because it has been two months and without food, the snake would probably be dead anyway. The kids learn on the road trip that their parents are very close to getting a divorce. Will Raina’s parents get divorced? Will the snake be found? 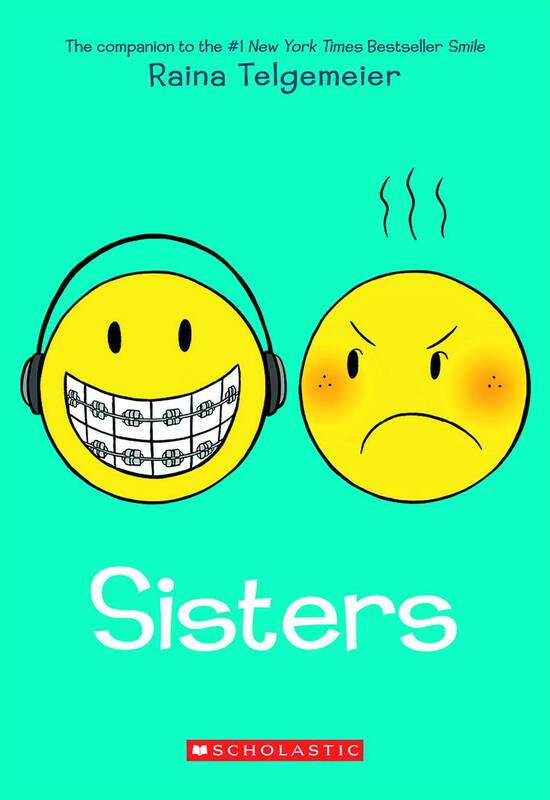 Aw, I used to love Smile when I was a kid and will have to check out Sisters as well! Thanks for the insightful, thorough review!